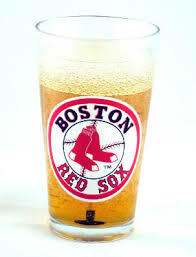 The Red Sox are lowering their beer prices (for April). Wahoo. The Red Sox might have moved on from skipper Bobby Valentine quickly after a disappointing season, but the fans might have lingering doubts that this season’s team won’t be an immediate upgrade over 2012’s expensive, underperforming roster. The Red Sox are trying to get Red Sox Nation to forget about that (and keep their not-totally-legitimate sellout streak alive) by cutting prices on concessions for April, including beer for two whole dollars less!